Grab our free templates so that your kids can make these fun Star Wars Perler Bead designs! 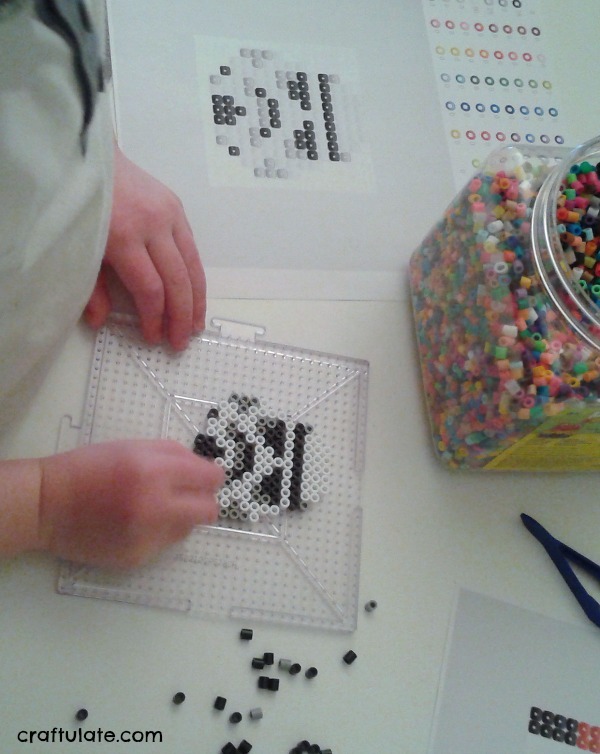 Working with Perler beads is an on/off obsession with my son. 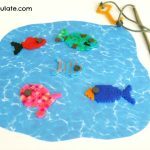 For the blog we’ve made Perler Bead Keychains and Perler Bead Christmas Ornaments – but behind the scenes there is a frenzy of bead design activity and then several weeks of nothing. He’s fast approaching six years old, and gone are the days when he would demand a new craft after he finished his day at preschool. However, he does set me craft challenges every now and then – the latest one was to provide him with a “darth vader craft”. 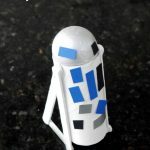 Now, we DID make R2-D2 from a cardboard tube, but Darth is a little bit trickier than that. He’s all black and gloom and doom. But I figured among a set of other Star Wars characters, it might just work to make him out of beads. 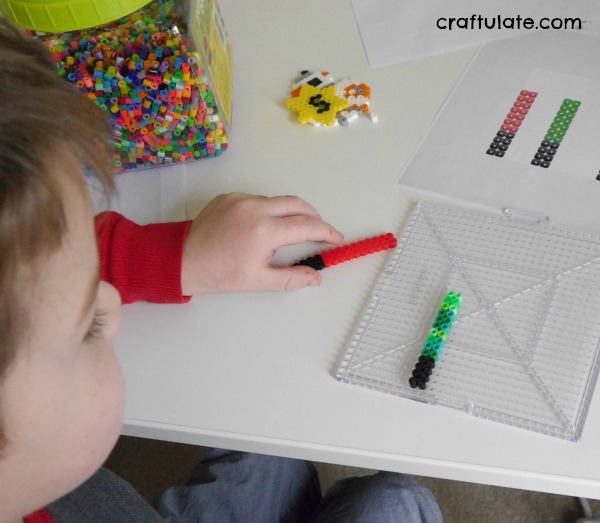 I’m a huge fan of the easy-to-use site Perbee.com – you just plot the beads on a grid, then print off the design. I sat down one evening and designed Darth Vader, a Storm Trooper, C3-PO, R2-D2 and BB8. The first three were heads only – it would have been perfectly possible to design the whole body but I didn’t think my son’s patience would allow for such a detailed design! Despite the initial Darth Vader request, when my son saw the options he was immediately drawn to the droids, and started with BB8. 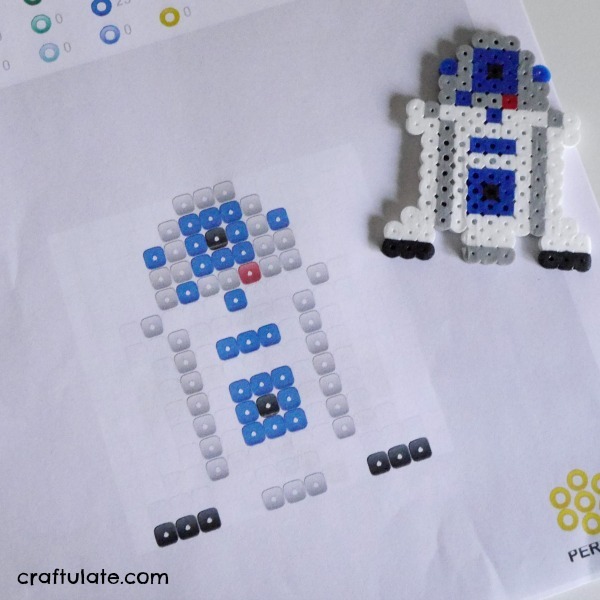 He next moved onto R2-D2 and when each design was complete, I carefully carried them to the ironing board and used the special paper between the beads and the iron to gently fuse the beads together. 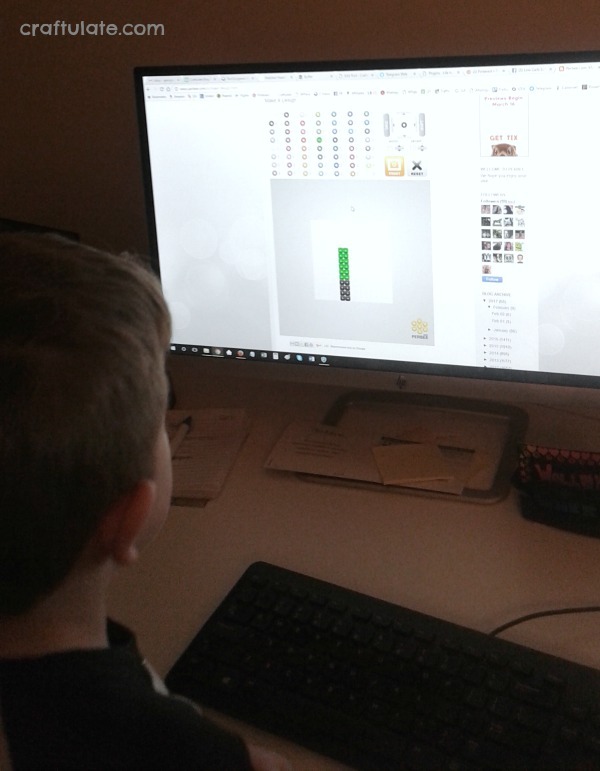 F loves designing, so I wasn’t surprised when he asked me how I made the templates. I showed him the Perbee.com website (no affiliation, so sorry for the link dropping) and he immediately decided that we needed some light sabers. We didn’t complete these bead designs overnight. He would just add some beads when he was in the mood – sometimes working for one minute and sometimes for twenty! Often we’d work together with one of us finding the beads and the other placing them. 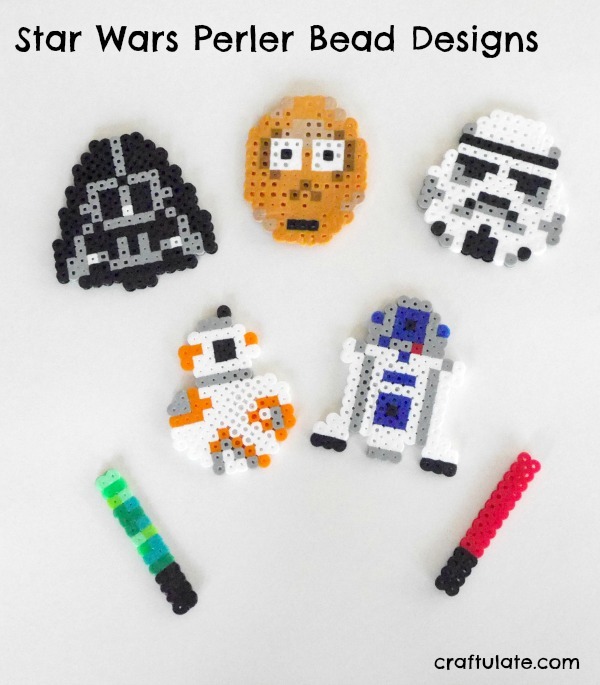 Want to make your own Star Wars bead designs? 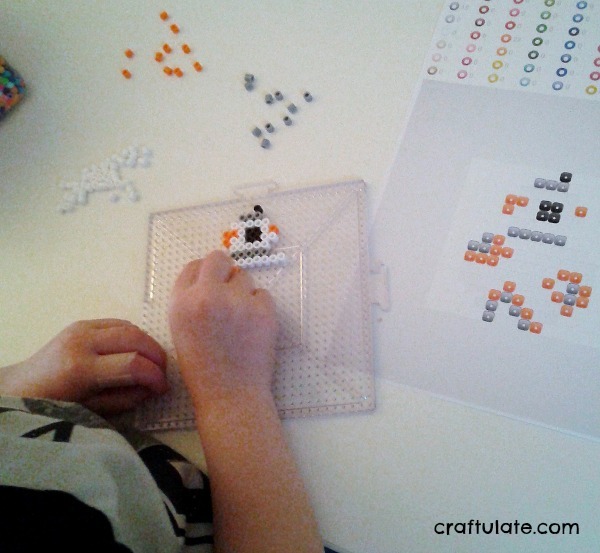 Get our free templates from the Craftulate Store!